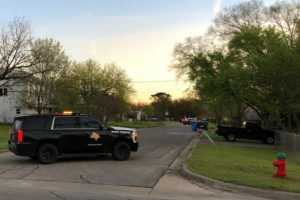 ROUND ROCK, Texas — The suspect in the deadly bombings that terrorized Austin blew himself up early Wednesday as authorities closed in on him, bringing a grisly end to a three-week manhunt. But police warned that more bombs could be out there. The suspect’s motive remained a mystery, along with whether he acted alone in the five bombings in the Texas capital and suburban San Antonio that killed two people and wounded four others. Police zeroed in on the 24-year-old man in the last 24 to 36 hours and located his vehicle at a hotel on Interstate 35 in the suburb of Round Rock. Officers were waiting for armored vehicles to arrive before moving in for an arrest when his vehicle began to drive away, Austin Police Chief Brian Manley said at a news conference. Authorities followed the vehicle, which ran into a ditch on the side of the road, he said. When members of the SWAT team approached, the suspect detonated an explosive device inside the vehicle, the police chief said. The blast knocked one officer back, and a second officer fired his weapon, Manley said. A law enforcement official identified the dead man as Mark Anthony Conditt. The official, who has been briefed on the investigation, spoke to The Associated Press on the condition of anonymity because the official was not authorized to discuss the case publicly. 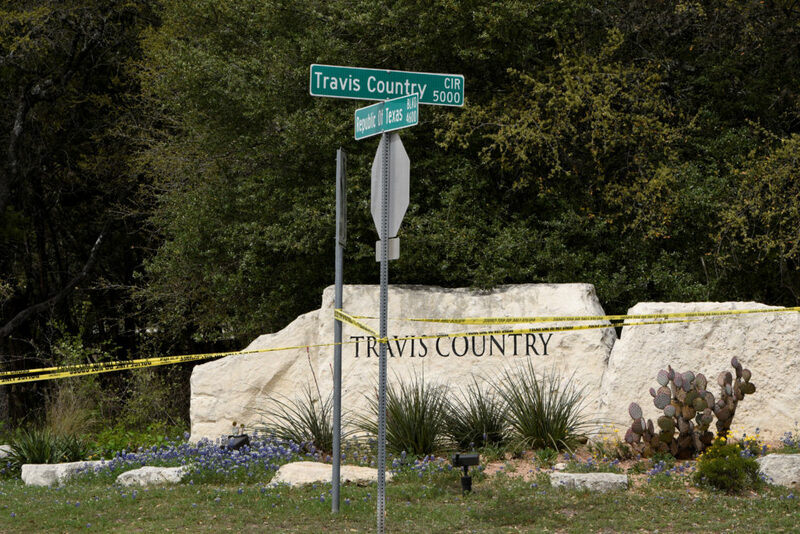 The mayor of Pflugerville, an Austin suburb not far from the site of the first of four bombings, said the suspect lived in his city, just two blocks from his house. Pflugerville resident Jay Schulze said he was jogging Tuesday night when he was stopped by police and asked about the bombings. He said police flew drones over a home for about six hours between Tuesday evening and early Wednesday morning. He described the home over which the drones were flying as “a weird house with a lot of people coming and going” and a bit rundown. Austin was hit with four package bombings starting on March 2. A fifth parcel bomb went off early Tuesday at a FedEx distribution center near San Antonio. Police warned Wednesday of the possibility that more bombs had yet to be found. Authorities initially believed the bombings may be hate crimes because the victims of the earliest blasts were black, but they backed off that theory after Hispanic and white victims from different parts of the city were also affected. The suspect was described as white. Fred Milanowski, an agent with the U.S. Bureau of Alcohol, Tobacco, Firearms and Explosives, said it was “hard to say” if the bombing suspect had acted alone. Figueroa said they saw a silver or gray Jeep Cherokee that was pinned between black and white vehicles and “looked like it had been rammed off the road.” He said he saw police deploy a robot to go examine the Jeep. The suspect’s death followed a day of rapid-fire developments in the case. The Schertz blast came two days after a bombing wounded two men Sunday night in a quiet Austin neighborhood about 3 miles (5 kilometers) from the FedEx store. It was triggered by a nearly invisible tripwire, suggesting a “higher level of sophistication” than agents saw in three package bombs previously left on doorsteps, Milanowski said. Associated Press writers Will Weissert and Paul J. Weber in Austin, Sadie Gurman in Washington and Tim Jacobs in Chicago contributed to this report.